Each year, around this time, RV show season starts. RV shows, like boat shows, are intended to introduce the new model year RV’s and to help disseminate RV related information to the consumer. These shows are usually scheduled during the slower time of the year, the winter months, to help jump start the selling season. RV dealers from miles away will bring their wares to these shows. For the buyer, RV shows put everything you need to see and learn about RV’s under one roof, making it the ideal forum to conduct research and make informed RV buying decisions. I mentioned that RV dealers will come from miles around. This includes many local dealers from the area in which you live. If at all possible you want to find a dealer that is within a reasonable distance from where you live. As bad as it sounds, if you buy from an out of state dealer or one far from home, the local RV dealer may not give you the best service after the sale. The most important concern here is that you deal with a reputable RV dealer. A good place to start your search for a reputable RV dealer is at a local RV show. When you attend an RV show don’t be afraid to ask questions about the RV dealership and the products they offer. For starters you need to find a reputable RV dealer with a reputable, professional staff. A reputable dealer wants your business and they want you to return to them for future business. I have been in many RV dealerships that I wouldn’t hesitate to do business with and I have been in others that I couldn’t leave soon enough. Remember, you’re at the show to check out the dealer as well as the product and you should plan to visit the RV dealer’s physical location before you buy. If at all possible talk to some other people who have dealt with the dealership in the past. Don’t be afraid to ask them to give you a tour of the dealership. Look at the service department. Do they have certified technicians? Do they have the capability and facilities to do routine maintenance and warranty work on the units they sell? Look at the Parts and Accessory department. Do they offer a good selection of parts and accessories? Do they have a good selection of RVs to choose from? How long have they been selling certain manufacturer brands? How long have they been in business? With the recent problems in the economy you will surely find some great deals offered at RV shows and with all of the excitement, and a good salesperson, it’s easy to make a hasty purchase. If they can offer a great deal at the show, chances are they can offer a great deal after the show, unless the offer included a manufacturer discount or rebate for show dates only. Let them know you might be interested in a particular unit or deal, but you want to visit the dealership before you buy. There is a lot of ground to cover at an RV show and a wealth of information available. Not only will you find a good selection of RV dealers to check out, but there will be every make and model of RV imaginable too. RV shows are a great place to do some comparison shopping. Keep in mind that RV’s are available in entry, mid-line, and high-end models. When comparing prices, make sure it is apples to apples. One RV may look like another one, but you need to compare the options, construction, equipment and features they both have to offer. See who offers the best deal but remember if the dealer goes out of business next month, or isn’t equipped to work on the RV, your best deal may turn out to be a bad deal. RV shows aren’t just for RV dealers to showcase their products. 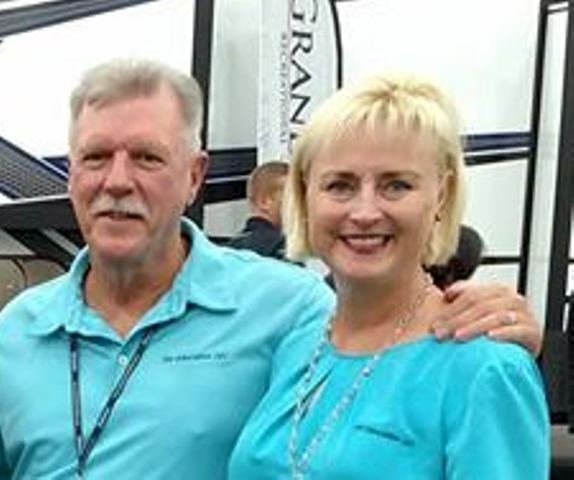 RV shows are a great source for information, from knowledgeable representatives, on every aspect of the RV industry. You will find information on campgrounds and RV resorts, aftermarket RV products, RV accessories and free RV seminars. Some of these seminars might be helpful to you in making some of your buying decisions. Check with the show office on seminar topics and times. RV shows are also a good place to talk to RV manufacturer representatives and other industry experts. Many of the RV manufacturers send knowledgeable representatives to assist RV dealers with their products. Don’t be afraid to talk with other RVers at the show too. Many of these people have years of RV experience and knowledge of different products. Buying an RV is a major decision. To make the best buying decision possible you need to do your research and be well informed. 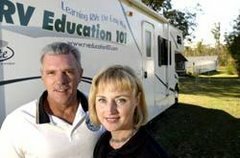 I would like to offer you my top 10 RV Buying tips to help you make an informed RV buying decision. Just click on the video player above to view the buying tips.